This traditional 4” Class (measured diagonally) slide and filmstrip viewer has been upgraded to feature 4 tru-color LED’s for bright, even illumination of slides or filmstrips. The four LED’s provide superior color rendition to the old incandescent bulb. 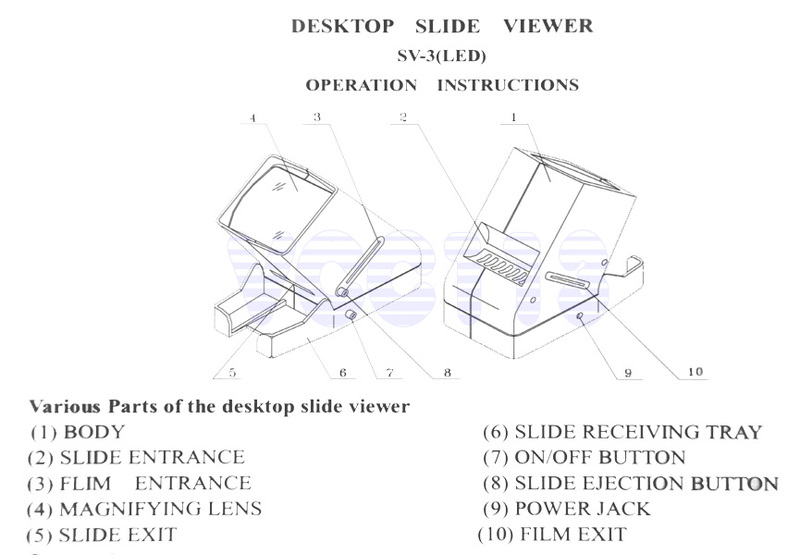 Still has a glass lens providing a 3X magnification of the image and the quick eject button that allows the slides to stack in the collection tray. Uses 4 “AA” batteries (not included). Will accept a 6V 500 mA AC adapter (not included).